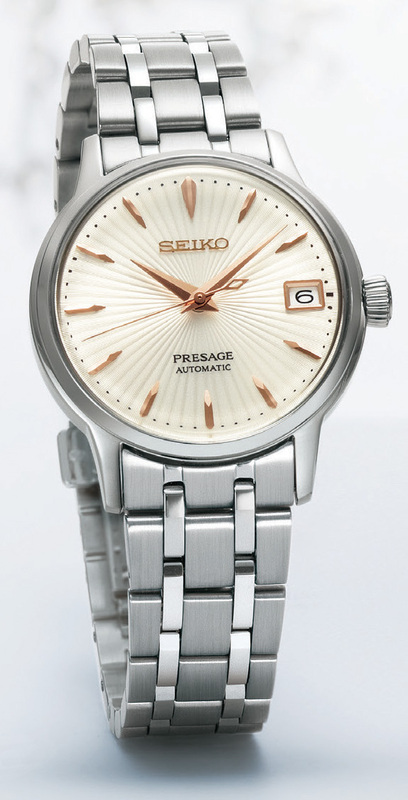 The Cocktail Time series has been very popular and well accepted in the Presage range. 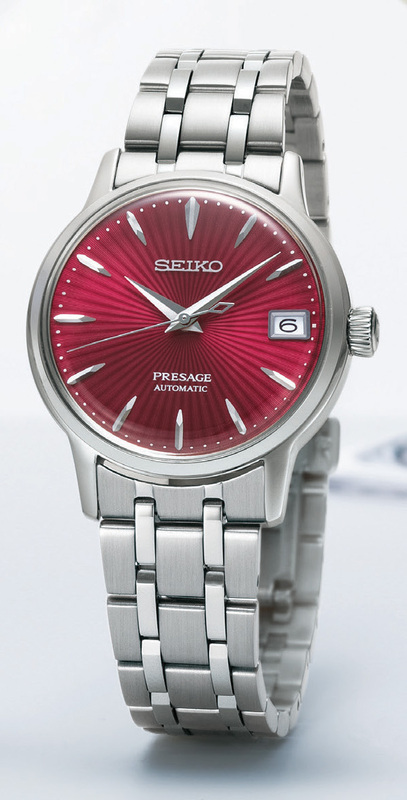 Seiko is now adding three models designed for women in the series. Like the men's models these designs were inspired by cocktails selected by Hisashi Kishi, head bartender at the STAR BAR in Tokyo’s Ginza. 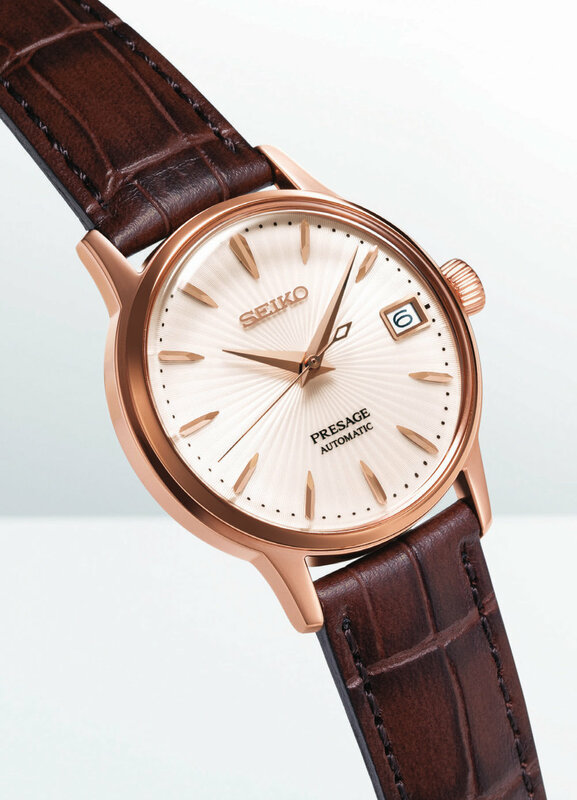 The models are automatic models based around the same 4R35 movement found in the men’s watches. The cases are smaller with a diameter of 33.8mm, but they also have the box style crystal and display case back as seen in the men's models. I do not know the thickness of these models but they look to be well proportioned in the images, it will be interesting to see the final thickness of these. These will hopefully be well received and would make some nice pairs watches with customers purchasing them for anniversary or wedding watches.